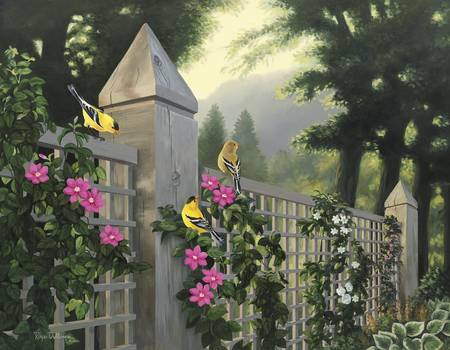 Goldfinches on garden fence at Munsinger Gardenss in St. Cloud Minnesota. From teh origianl oil painting. Outstanding artwork. Very unique, one-of-a-kind and very beautiful colors.